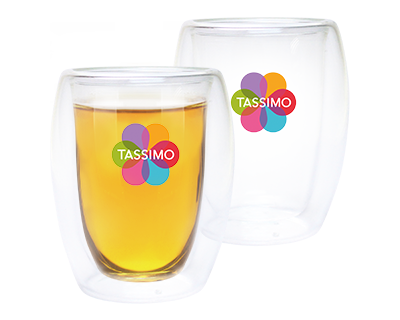 Welcome to the Tassimo website ('Web Site'). 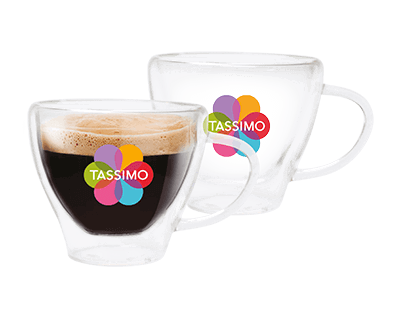 This Web Site is offered to you by Jacobs Douwe Egberts GB Ltd. ('Tassimo') whose principal office is Horizon, Honey Lane, Hurley, Maidenhead, Berkshire, SL6 6RJ, England. These terms and conditions of use ("User Terms") apply to all visits to and use of the Web Site, as well as to all information, recommendations and/or services provided to you on or through this Web Site (the "Information"). By using this Web Site you agree to the User Terms. These User Terms can at all times be changed or otherwise amended by Tassimo. The changed or amended User Terms enter into force at the moment of publication on this Web Site. The Information is for general information purposes only. 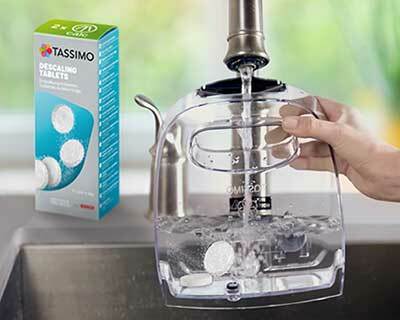 Tassimo shall not be liable for any damages resulting from the use of (or inability to use) the website, including damages caused by viruses or any incorrectness or incompleteness of the Information, unless such damage is the result of any wilful misconduct or from gross negligence on the part of Tassimo or its employees. 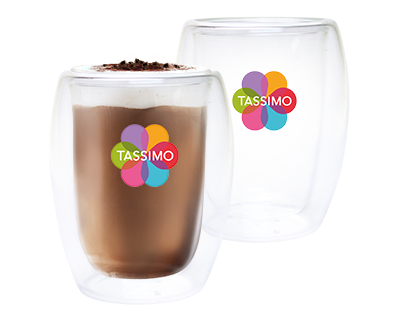 Tassimo shall further not be liable for damages resulting from the use of electronic means of communication, including Ð but not limited to Ð damages resulting from failure or delay in delivery of electronic communications, interception or manipulation of electronic communications by third parties or by computer programs used for electronic communications and transmission of viruses. You agree to indemnify, defend, and hold harmless Jacobs Douwe Egberts GB Ltd., its officers, directors, employees, agents, licensors and suppliers from and against all losses, expenses, damages and costs, including reasonable attorneys' fees and court costs, resulting from any violation of these terms and conditions or any activity related to your Internet account (including, but not limited to, negligent or wrongful conduct), by you or any other person accessing the Site using your Internet account. 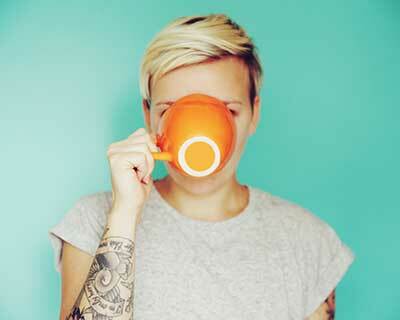 Unless otherwise indicated, all rights to this Web Site and the Information, including copyrights and other intellectual property rights, are owned by Jacobs Douwe Egberts GB Ltd. Users are permitted to read the Web Site and the Information and make copies for their own personal use, for example by printing or storing it. All other use of Web Site or the Information, for example the storage or reproduction of (a part of) the Web Site in any external internet site or the creation of links, hypertext links or deep links between the Web Site and any other internet site, requires the prior written consent of Jacobs Douwe Egberts GB Ltd.
"Tassimo", and all other trademarks figuring on this Web Site are registered trademarks of Jacobs Douwe Egberts GB Ltd. or its affiliates. In the event you post unsolicited ideas and/or materials whether consisting of texts, images, sounds, software, information or otherwise (the "Materials") on this Web Site or send these to Tassimo by e-mail or otherwise, Tassimo shall be entitled to use, copy and/or commercially exploit such Materials to the fullest extent and free of charge and Tassimo shall not be bound by any confidentiality obligation in respect of such Materials. 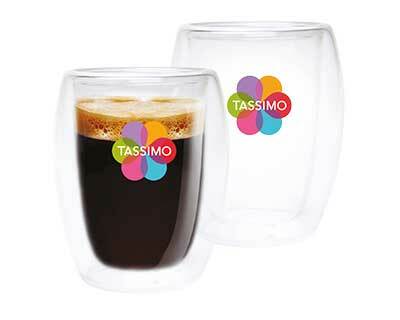 You hereby indemnify and hold Tassimo harmless from and against all actions, claims and liabilities, suffered, incurred or sustained by Tassimo as a result of the use and/or exploitation of the Materials infringing the (intellectual property) rights of any third party or otherwise being unlawful towards a third party. These terms and conditions relate to registration on the TASSIMO Website ("myTASSIMO"). 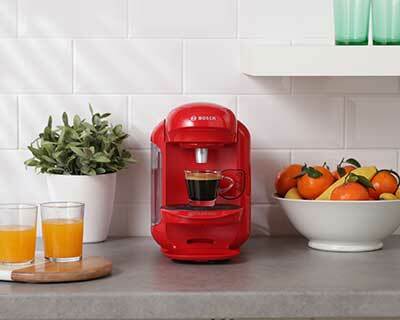 There is no charge to register for myTASSIMO, but internet access and a valid email address are required. To register you must be over 18 and a resident of the United Kingdom. 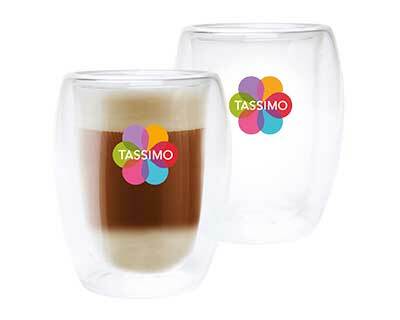 Benefits accrued by a myTASSIMO member may not be transferred. Registration will run ongoing unless a cancellation is requested via the Contact Us page on the site. Those registering will have the opportunity to choose to receive offers, discounts, competitions and events promoted via email, mail and online. Such activities may be subject to further terms and conditions, which will be made available at the relevant time. 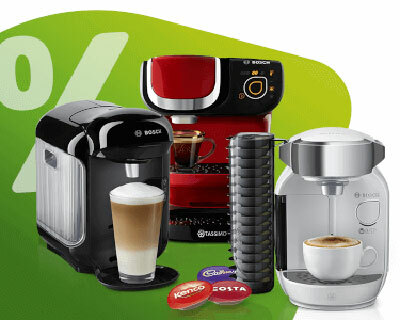 Those registering their Tassimo machine and entering their valid unique client or serial number from a Tassimo brewer, will be entitled to receive two Discount Codes each offering a £10 vouchers off an eShop purchases made at the TASSIMO online shop (Minimum £25 + P&P spend per order. 1st voucher valid for 6 weeks from registration. 2nd voucher valid for 4 months from registration). The vouchers must be used on 2 separate purchases. Discount Code will be sent to the email address specified at time of registration. Please allow up to 28 days for receipt of Discount Code. 1st voucher valid for 6 weeks from registration date, 2nd voucher valid for 4 months from registration. 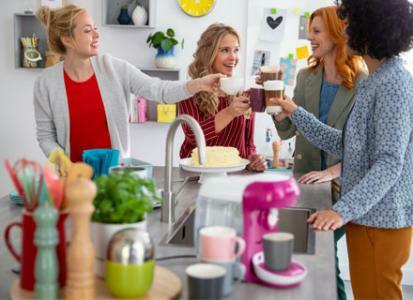 Offer is restricted to 2 x £10 discount codes per myTASSIMO registration with a valid client or serial number and a maximum of four Discount Codes per household in any 12 month period. Invalid or incomplete client or serial numbers will not be accepted. 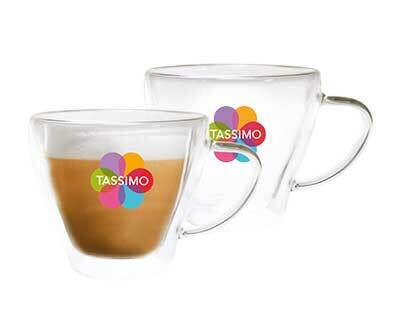 Normal TASSIMO eshop terms and conditions, including payment terms, apply to all orders made using the Discount Code. This offer may be subject to change or withdrawn at any time without notice. This offer is available to persons aged 18yrs + with a delivery address in the UK. The Minimum order value for the MyTassimo registration codes is £25. 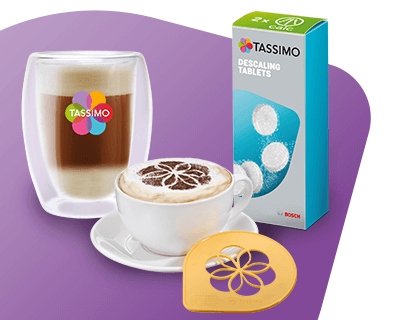 myTASSIMO is brought to you by Jacobs Douwe Egberts GB Ltd. We will hold personal information related to myTASSIMO members' interests, reward choices, participation in promotions, offers and visits to the myTASSIMO website (and its sub-sites). This information will be used for analysis and research as well as being used to optimise our choice of promotions. It will not be passed on to any unaffiliated third party without members' consent. Indemnity. By registering, you agree to indemnify and hold Jacobs Douwe Egberts GB Ltd., its subsidiaries, affiliates and their respective officers, agents, partners and employees, harmless from any loss, liability, demand, claim or legal proceedings brought or threatened, including expenses, arising from your use of or conduct in regard to myTASSIMO, or the benefits and/or any breach of these terms and conditions. Choice of law and Jurisdiction. These terms and conditions shall be governed by and interpreted in accordance with English law and the jurisdiction of the courts of England and Wales. These terms and conditions will apply to your order for placing an order. This is a site for members of the public to purchase the products. If you are a business wishing to place an order, please contact Jacobs Douwe Egberts GB Ltd at the address on our 'Contact Us' page.